The most beautiful estate car in its class is now even more versatile. 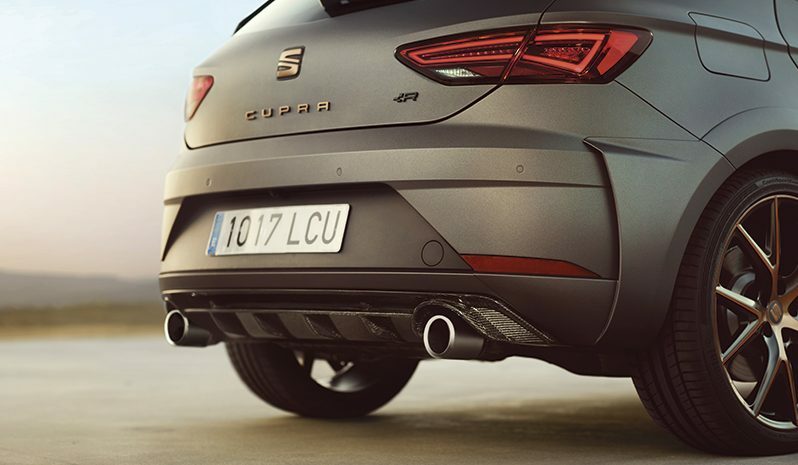 Thanks to permanent all-wheel drive with electronic control, the new SEAT Leon ST 4Drive now masters even the toughest road conditions with maximum traction and safety. The Leon with all-wheel drive comes to market with two TDI engines generating 77 kW / 105 PS and 110 kW / 150 PS. Besides powerful performance, these gutsy engines also demonstrate exceptional efficiency: The average fuel consumption of 4.5 and 4.8 litres per 100 kilometres are outstanding figures for vehicles of this configuration (all data preliminary). The Leon ST 4Drive makes its public debut at the Vienna Autoshow in January, market introduction will start with the 77 kW / 105 PS version in April 2014 and with the 110 kW / 150 PS version in summer. Alongside the latest-generation TDI engines and permanent all-wheel drive with intelligent, electronic control, the Leon ST 4Drive boasts a wide array of ultra-modern technologies. The four-wheel EDS dynamic control system (electronic differential locks on both axles), the extended electronic differential lock for better traction while cornering (XDS), the electronic stability programme and the multi-collision brake deliver maximum safety. Further optional hi-tech features include full-LED headlamps, ACC adaptive cruise control with city emergency brake function, drowsiness detection and the Heading Control lane-keeping assistant. 4Drive has a long tradition at SEAT: In the Leon 1,8 20VT 180PS 4×4 from 1999, a torquey engine and the superior traction of all-wheel drive formed a perfect combination. The permanent all-wheel drive in the new Leon ST 4Drive is among the most modern and efficient systems of its kind in the world. SEAT uses a newly developed multi-plate clutch with hydraulic actuation and electronic control – a fifth-generation Haldex clutch. It reacts extremely quickly to all conceivable drive input, thus delivering a considerable benefit in active safety and dynamics. In the interests of axle-load distribution, the clutch is positioned at the end of the prop shaft in front of the rear-axle differential. Inside is a multi-plate package running in an oil bath. The metal friction rings are ordered in pairs one behind the other – one ring of each pair is permanently meshed with the clutch cage, which rotates with the prop shaft. The other ring rotates with the drive shaft to the rear-axle differential. In normal operation, the clutch transmits most of the engine power to the front wheels. Should their traction decrease, the torque is diverted smoothly and in a matter of a few milliseconds to the rear. A piston presses the multi-plate pack together to reach the necessary oil pressure. The new generation of the clutch no longer requires a pressure accumulator, making it considerably more compact and 1.4 kilograms lighter than the same part in preceding generations. The all-wheel drive in the Leon ST is combined with two TDI engines that are as gutsy as they are efficient, plus a six-speed manual transmission. The common-rail four-cylinders produce 77 kW / 105 PS and 110 kW / 150 PS and consume just 4.5 and 4.8 litres of fuel per 100 kilometres in the standard cycle. This equates to CO2 emissions of 119 and 124 grams per kilometre. The standard-fit start/stop system and the braking-energy regeneration are further elements of the efficiency package. The 2.0 TDI with 110 kW / 150 PS and a maximum torque of 320 Nm provides the new SEAT Leon ST 4Drive with impressive propulsion. The acceleration time to 100 km/h is 8,7 seconds, while the top speed is 211 km/h. The 2.0 TDI is from the very latest engine generation with intelligent thermal management and reduced friction. Two balance shafts ensure even smoother running. Thanks to a maximum torque of 250 Nm, the Leon ST 4Drive with the 1.6 TDI packs plenty of punch, too. Its figures for acceleration and top speed stand at 12,0 seconds and 187 km/h. 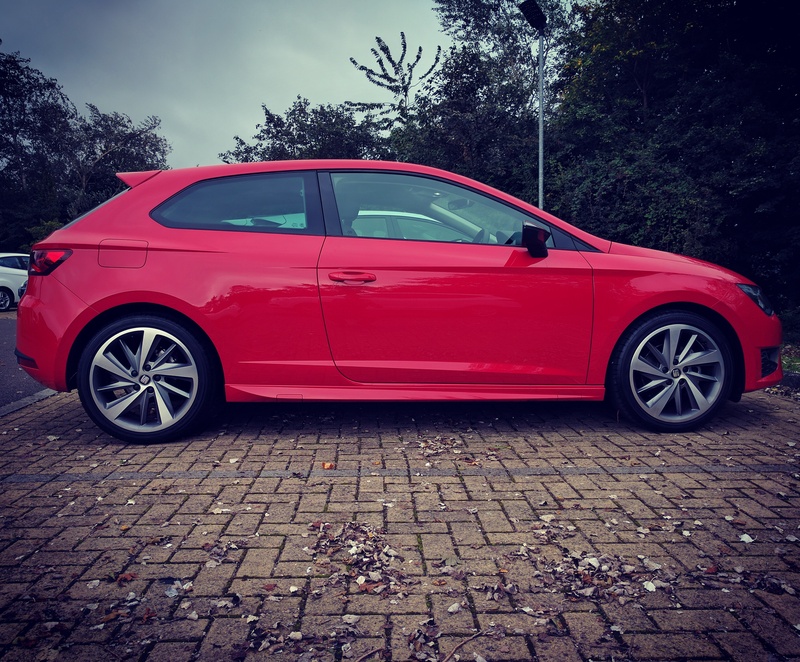 In the 4Drive version, too, the third member of the Leon family combines the precise handling of its siblings with an exceptionally high level of versatility. Like every Leon, the ST boasts excellent craftsmanship and premium materials. The luggage space of the 4,535-millimetre estate car is in no way impacted by the all-wheel drive; it offers a high degree of variability and first-class functionality down to the very last detail. It has a load capacity of 587 litres, increasing to a maximum of 1,470 litres to the roof with the rear-seat back rest folded. Plus, to accommodate particularly long loads, the back rest of the front passenger seat can also be folded on some equipment versions, giving a maximum load length of 2.5 metres. Thus, even the bigger items of everyday life are well taken care of in the Leon ST 4Drive. 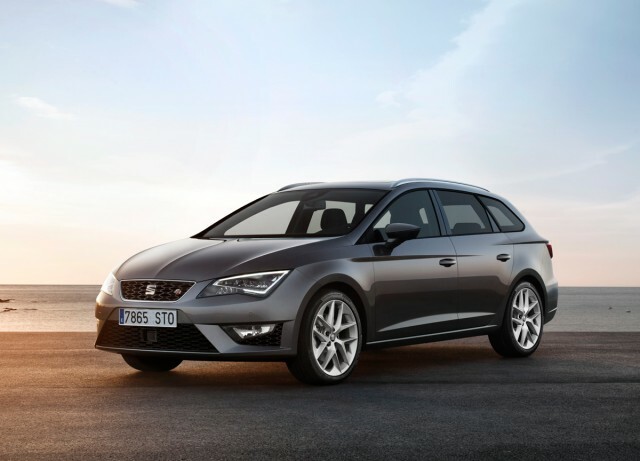 The new SEAT Leon ST comes to market with a wide selection of state-of-the-art infotainment solutions. The basis for this is the SEAT Easy Connect operating system for controlling the functions for entertainment and communication, as well as a wide array of vehicle functions, via a 5.8-inch touchscreen in the cockpit. The SEAT Media System is available in a number of variants, as is navigation and the SEAT Sound System. 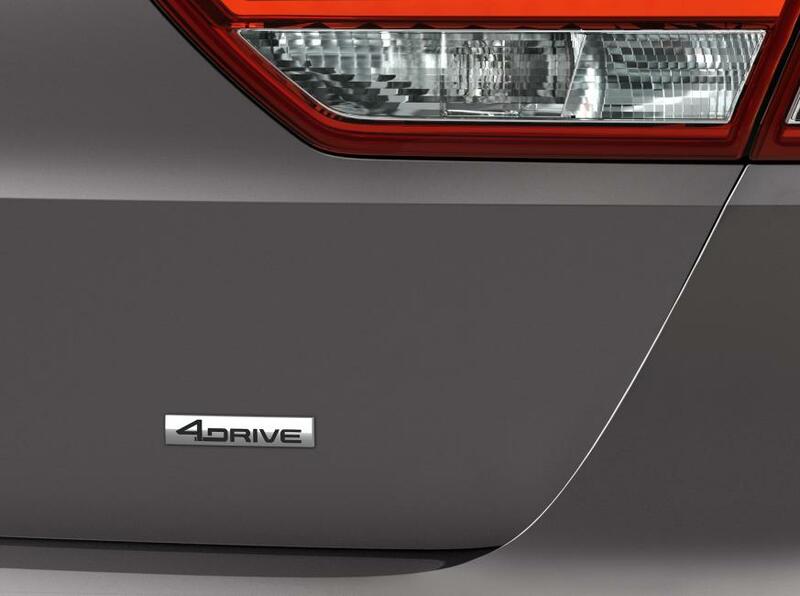 The Leon ST 4Drive is offered with 77 kW / 105 PS in the Reference and Style versions and with 110 kW / 150 PS in the Style and FR versions. Every Leon ST 4Drive comes with an extensive level of standard equipment, including the Media System Touch, air conditioning plus power windows and wing mirrors. The Style version also offers the likes of 16-inch alloy wheels, the Media System Touch Colour, the leather steering wheel and cruise control. The FR line reinforces the sporty character of the Leon ST 4Drive with a particularly powerful design front and rear, 17-inch alloy wheels and a sporty suspension. The driver can use the SEAT Drive Profile to adapt the vehicle settings to suit the prevailing driving conditions. The fine sound of the Media System Touch Colour is delivered via eight speakers. Man that is so ugly . looks like its been in a car crash in the showroom ………….. what were they thinking……it must be a bangle design . Bring back the mark one . Man you need your eyes checked! I was all excited reading about this until I seen the picture… Ive had the Mk1 Leon FR TDI from new & it was 9yr old at the weekend. if they still made them I would buy another tomorrow. SEAT has lost the Audi interior flare so its going to have to be an Audi next for me iam afraid which is a real shame. Current Audi’s look stunning & I think worth the extra now. might have another yr or so out of the leon first tho. its hardly run in @ 84,000 miles.